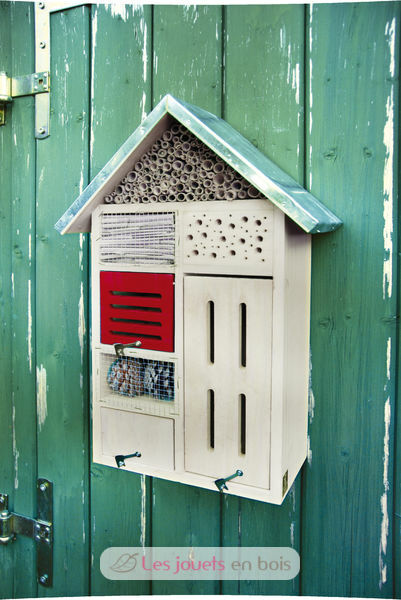 For: solitary bees, green lacewing, ladybirds, butterflies and earwigs. Insects undertake many jobs in our gardens. For example, they pollinate plants and act as a natural pest controller. 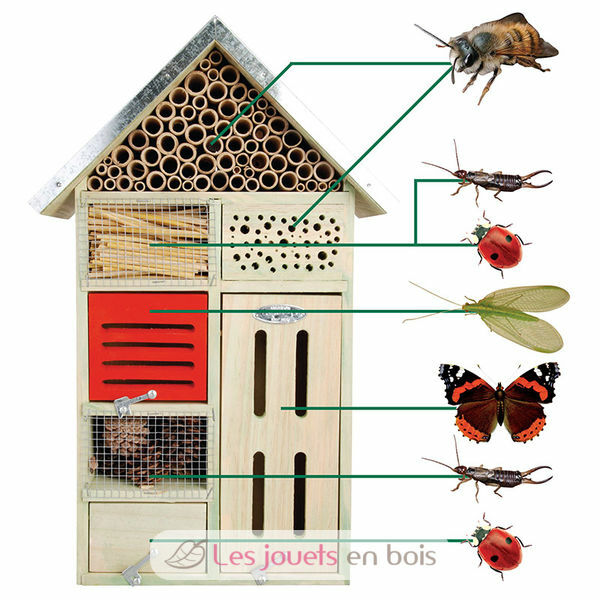 With this insect hotel you can offer several species at the same time the opportunity to nest and hibernate. The habitats of many species of insects are threatened by changes to their environment and this is a way of helping to protect them. 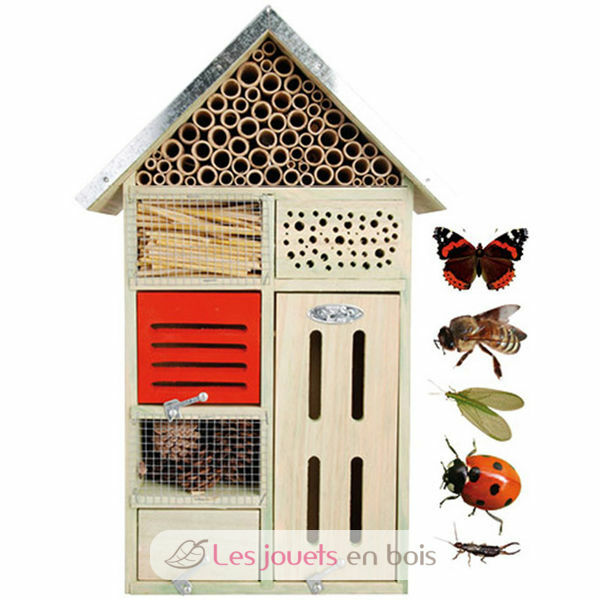 Wooden insect hotel with zinc roof made by Esschert Design - WA16.